Longview, WA– In a record breaking cargo handling year, the Port of Longview moved more than 8.3 million metric tons of cargo across the dock in 2016 - the most cargo handled annually in the last three decades. 2016 saw a nearly 30 percent increase over the 6.4 million metric tons handled in 2015. 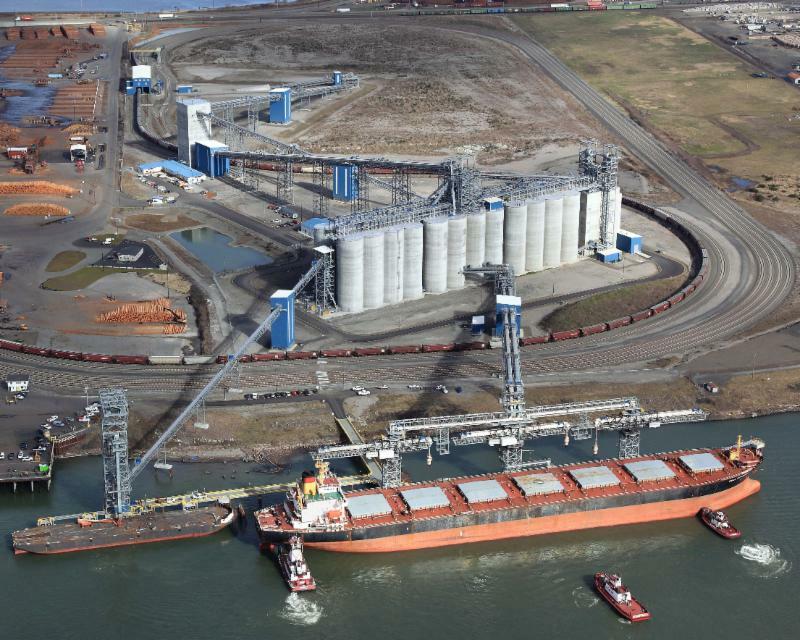 Pushing the Port over the 8 million mark was grain terminal EGT, LLC, which alone moved over 6 million metric tons of primarily wheat, soybeans and corn. This marks EGT’s best year since coming on-line in 2012. Although dry bulks made up the majority of the tonnage in 2016, the Port had a strong year in breakbulk as well. The resurgence of wind energy cargo, coupled with oversized project cargo made for a well-rounded year and demonstrated the Port’s flexibility in cargo handling. With a new year underway, cargo prospects for 2017 predict another successful at the Port of Longview. ABOUT THE PORT OF LONGVIEW The Port of Longview is the first full-service operating port with strategic transportation connections on the deep-draft Columbia River shipping channel in southwest Washington State. The Port is located just 66 river miles from the Pacific Ocean, 120 driving miles from Seattle, Washington, and 40 driving miles from Portland, Oregon. Port facilities include eight marine terminals and waterfront industrial property with direct connections to main-line rail and interstate highway. Cargo handling specialties include bulk cargos and breakbulk commodities.